Their support to the government have communicated by letters to the President of the House, six independent MPs, in order to ensure the parliamentary majority of the government. Following this development, the government ensures the majority of 151 MPs, which had been questioned after Panos Kammenos left the government coalition. The MPs are Tourism Minister Elena Kountoura, Rural Development Minister Vassilis Kokkalis, Thanasis Papachristopoulos and Kostas Zouraris, who had been elected with ANEL, Spyros Danellis, who left To Potami and Deputy Minister of Citizen Protection, Katerina Papakosta, who had become independent from ND. 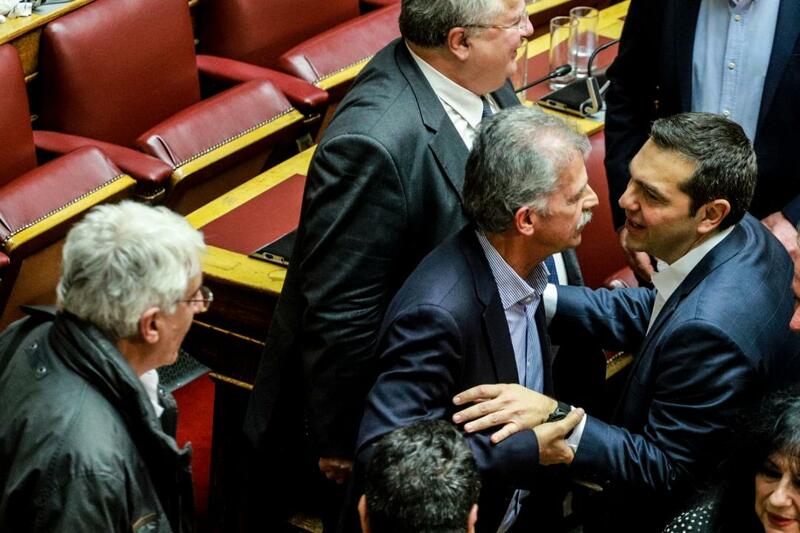 This development came after Alexis Tsipras’ suggestion to the President of the House not to change the regulation on the recovery of privileges for party leaders who have lost their parliamentary representation due to MPs from their parliamentary group becoming independent.